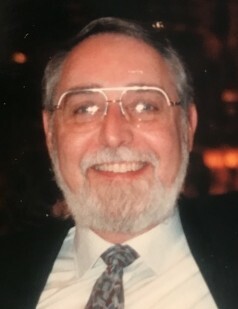 Dennis (Denny) Boyd Rankin, 79, passed away January 28, 2019, at Tidewell Bradenton Hospice House in Bradenton, FL, surrounded by his family, after a valiant battle with multiple terminal diseases including: MDS (Myelodysplastic Syndrome); Parkinson’s; and heart disease. Denny was born October 24, 1939, in Sabina, OH, to Mary Elizabeth and Kirtley Benton Rankin. Following graduation, he married his high school sweetheart and the love of his life, Carol Sue Reese, in 1957. Denny graduated from The Ohio State University in 1962, with a Bachalor of Science degree in Anatomy. His career spanned 35+ years focusing in the pharmaceutical industry, including serving as the Invesitgator for the Federal Food and Drug Administration for half of his career, which transferred him to Cincinnati, OH, Knoxville, TN, and then, to Eau Claire, MI. The second half of his career, he worked in private practice within the pharmaceutical industry, which took him to Richmond, VA. Denny retired and eventually returned to Eau Claire, MI. He was a lifetime member of Sabina Masonic Lodge No. 324 and the Valley of South Bend Masonic Temple. He enjoyed all things outdoors and passed on to his girls and grandchildren his love of fishing, hunting, camping, and all things sports-related, specifically Ohio State. Left to mourn Denny’s passing with great love is his wife of 61 years, Carol Reese Rankin; his three daughters: Teresa (Harry) O’Keeffe of Denver, NC, Denise (Michael) McCoig of Walkertown, NC, Krista (Todd) Buescher of Indianapolis, IN; five loving grandchildren: Lindsey McCoig, James and Kirtley O’Keeffe, Kaylee and Austin Buescher. In lieu of all other gifts, memorials may be made to Tidewell Hospice House of Bradenton, FL; Chapel Hill United Methodist Church, Sodus, MI; or United Methodist Church of Oneco, FL. Family members express their grateful love for the amazing support and blessings from family and friends both far and near. Family will receive friends at the Sabina United Methodist Church on Saturday, February 2, 2019, from 1-3pm when a funeral service will begin. Burial to follow at Sabina Cemetery. Littleton Funeral Home, Sabina, has been entrusted with arrangements.